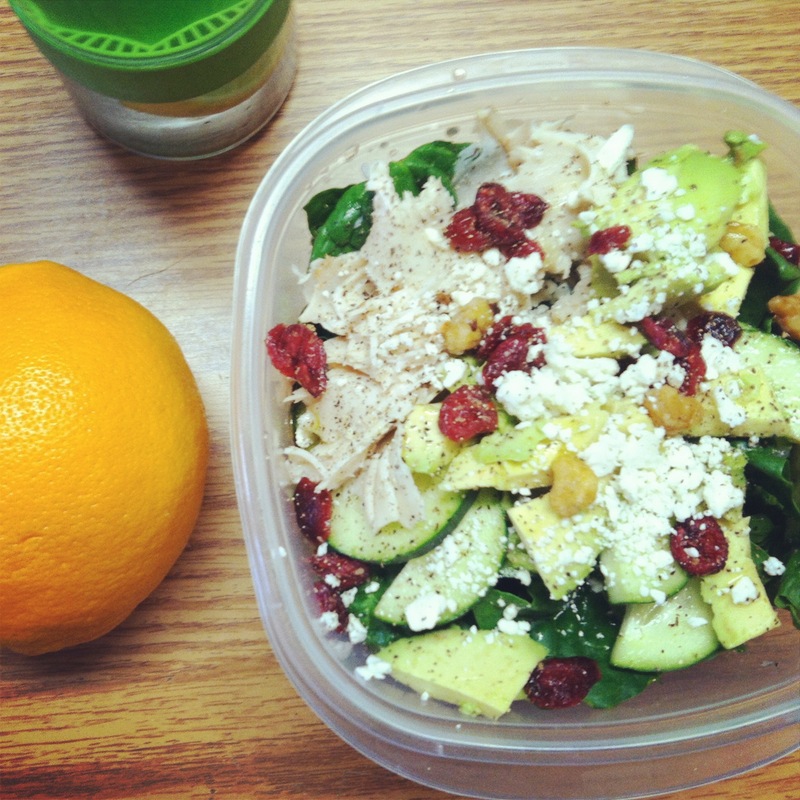 A Look at some Clean Eats by YOURS TRULY! Anyhow I’ve posted some of my ‘clean’ dishes from the past week and hopefully I can get by the next few days on what’s left in my fridge!! This here was an experimental dish I tried and ended up LOVING IT. ~Preheat oven to 350 degrees, coat chicken in Coconut Oil. 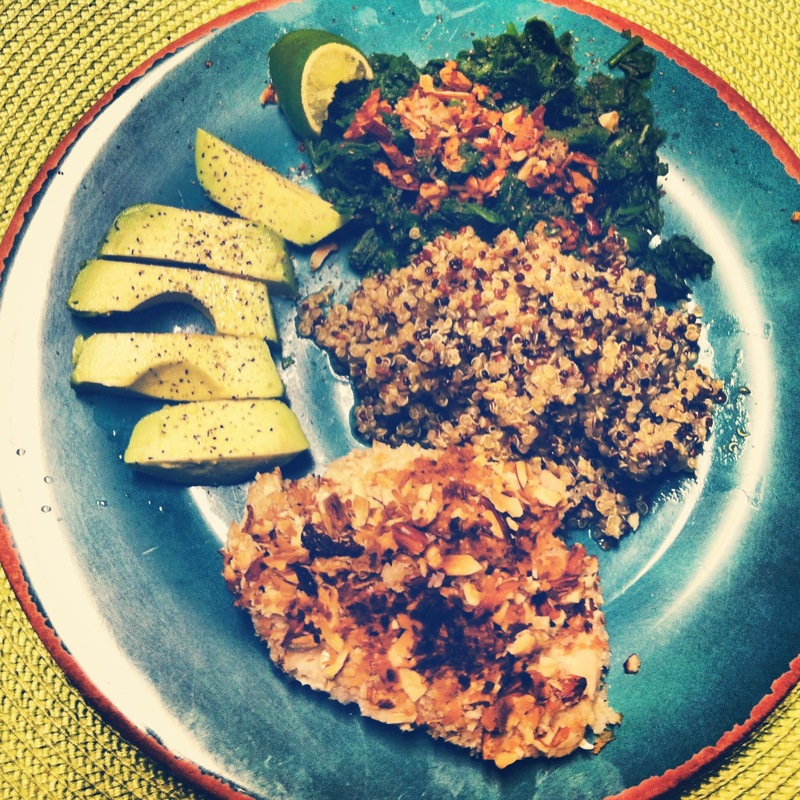 Crush 5-6 almonds and use about 1-2 tablespoons of Unsweetened Coconut Flakes — Spread this on both sides of the chicken. ~Watch your chicken to assure the coating doesn’t burn, after 10-12 mins, slice through the chicken and check that there’s no pink! ~Throw any extra toppings from the chicken on top of the spinach & squeeze fresh lime over the dish. ENJOY! So this is really quite simple, quick, and easy to prepare! I had a late shift at work, so I prepped myself this dish the night before. Still tasted great cold! 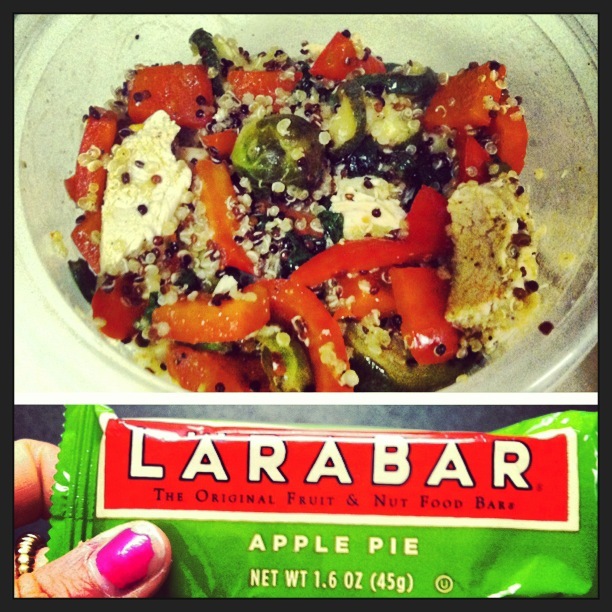 ~Had a Apple Pie flavored Larabad for dessert! YUM! 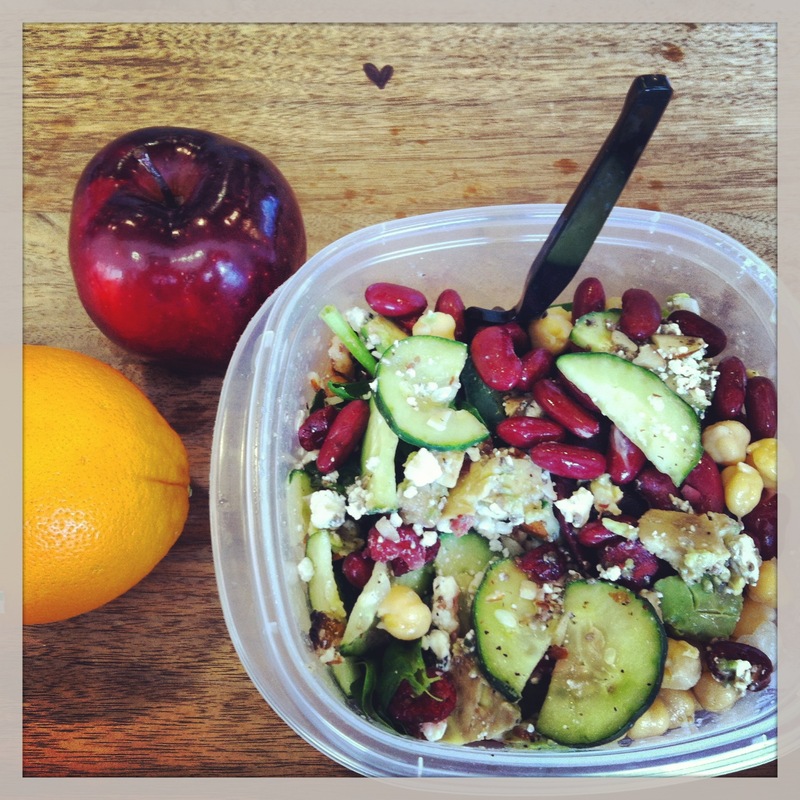 Similar to the above salad, but used turkey breast (instead of beans & chickpeas) for protein! Had an orange on the side as well. 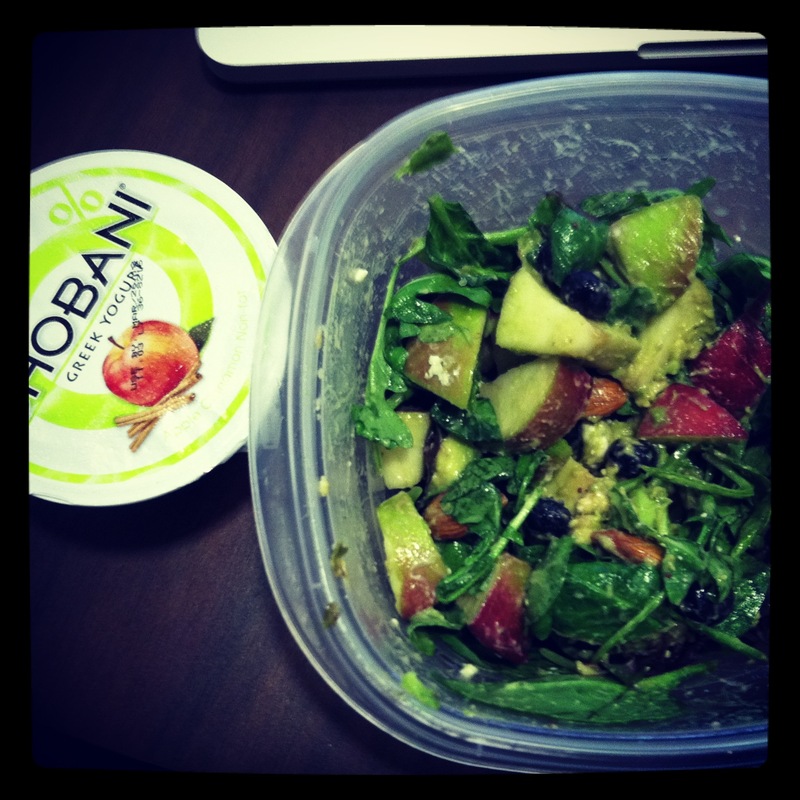 ~Had Apple Cinnamon Chobani on the side for a snack! Used 1/2 cup of dry oats with 1 cup of water. Added in 1 1/2 tablespoons of PB2 powder, 1 Whole banana, and some cinnamon. 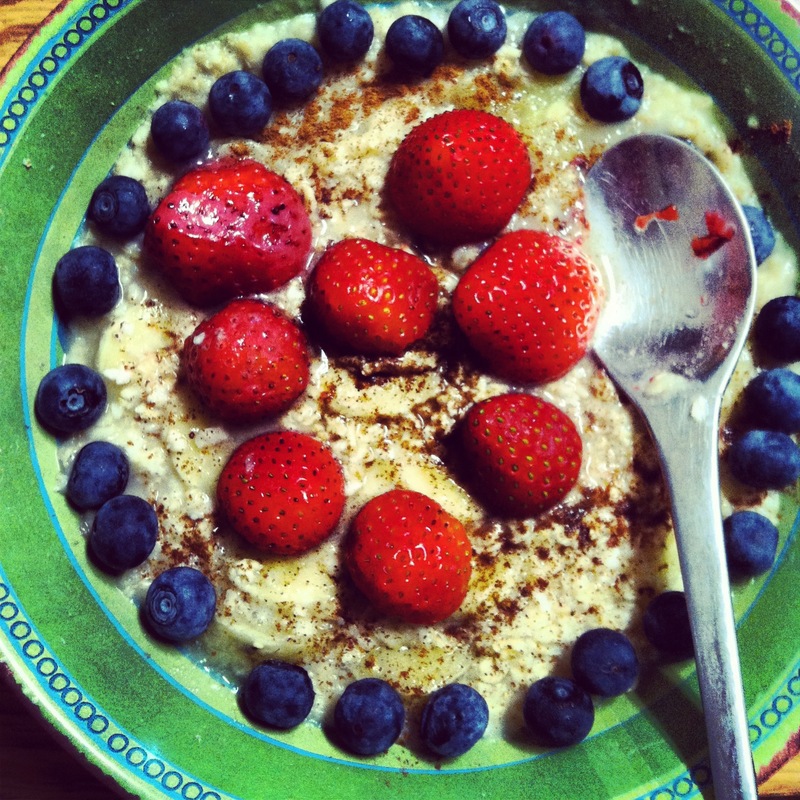 Put that in the microwave for 2 minutes, then topped with strawberries, blueberries, & a dash of cinnamon! 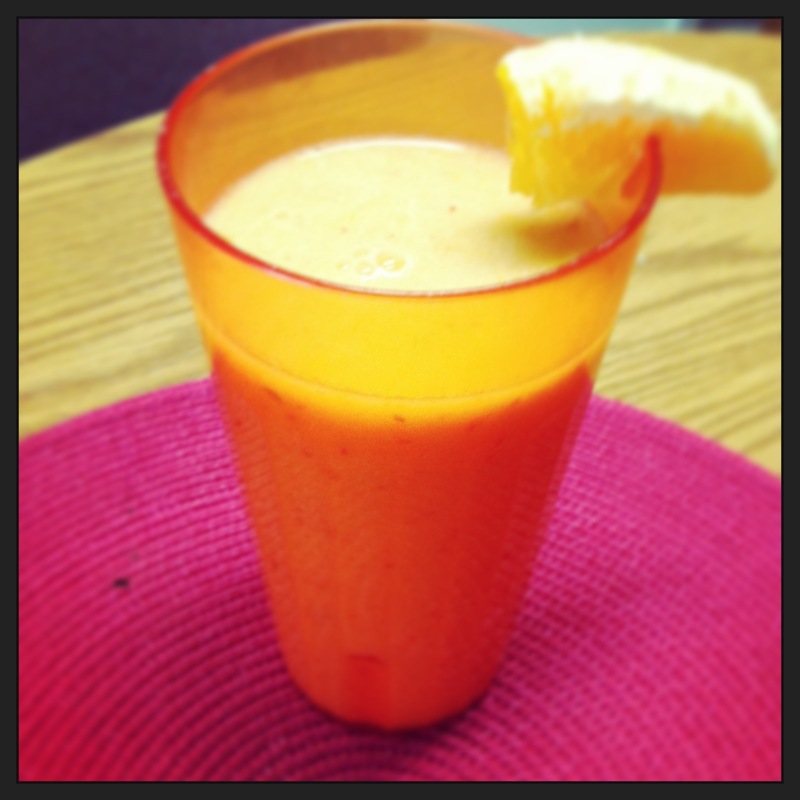 ~Blend together and enjoy the deliciousness! 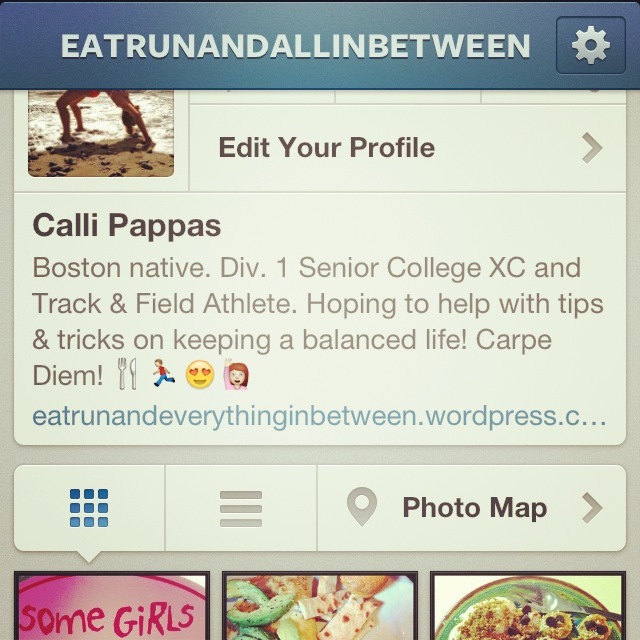 If you’re interested, follow me @EatRunandAllinBetween on instagram and let me know what you think! Also, I figured since I’m already on here earlier in the morning than I would have liked (i can’t ever sleep!! Too much on my mind, ah! ), I would share yesterday’s meals with you all, because they were on PAR might I say. 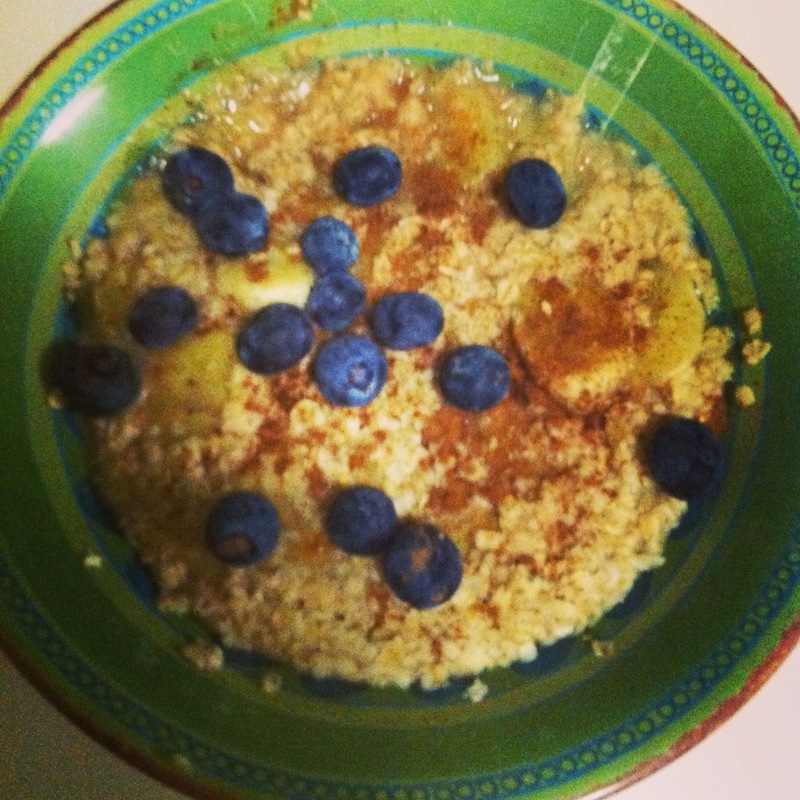 Breakfast was a big old bowl of oatmeal with blueberries, bananas, cinnamon, agave nectar, and PB2 powder! Delicioso! 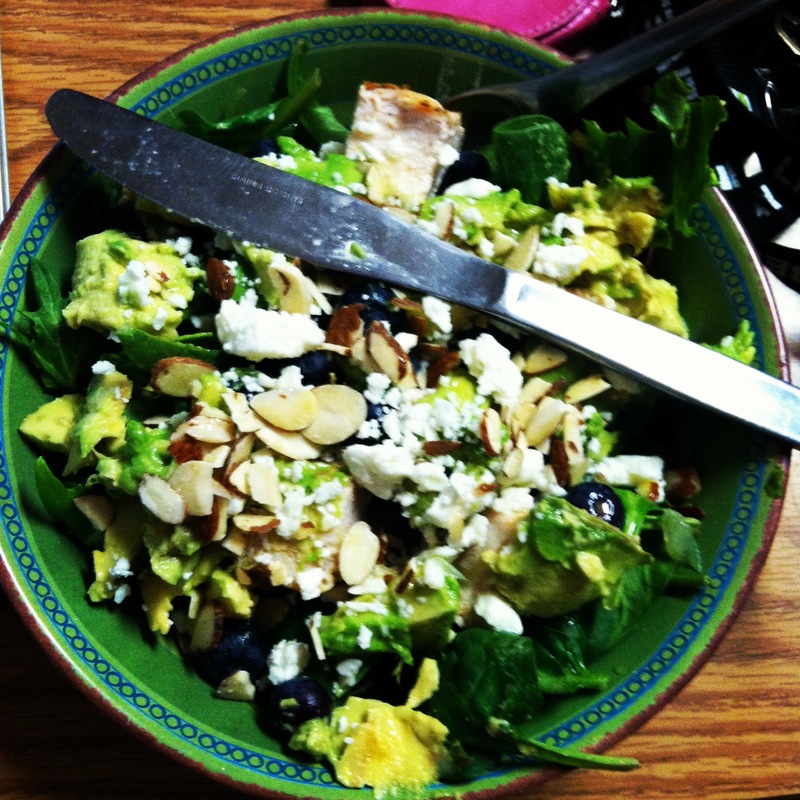 Lunch was a super powerbowl of mixed greens and spinach, topped with avocado’s (one a day keeps the doctor away…), sliced almonds, blueberries, chicken, onion, and reduced fat feta cheese. 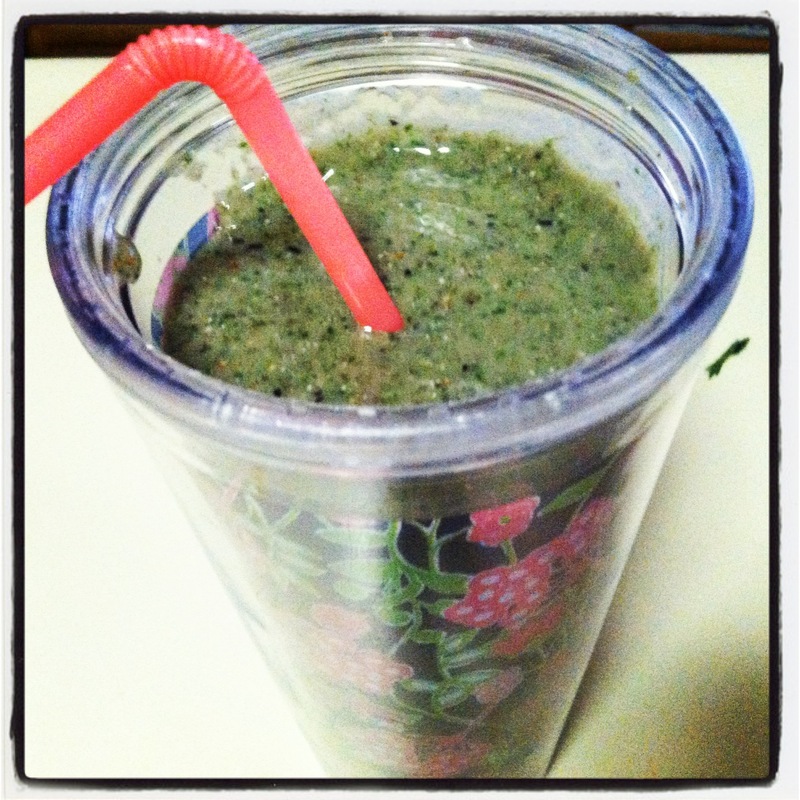 I dressed it with just a little bit of Apple Cider Vinegar and a few squeezes of fresh lemon! 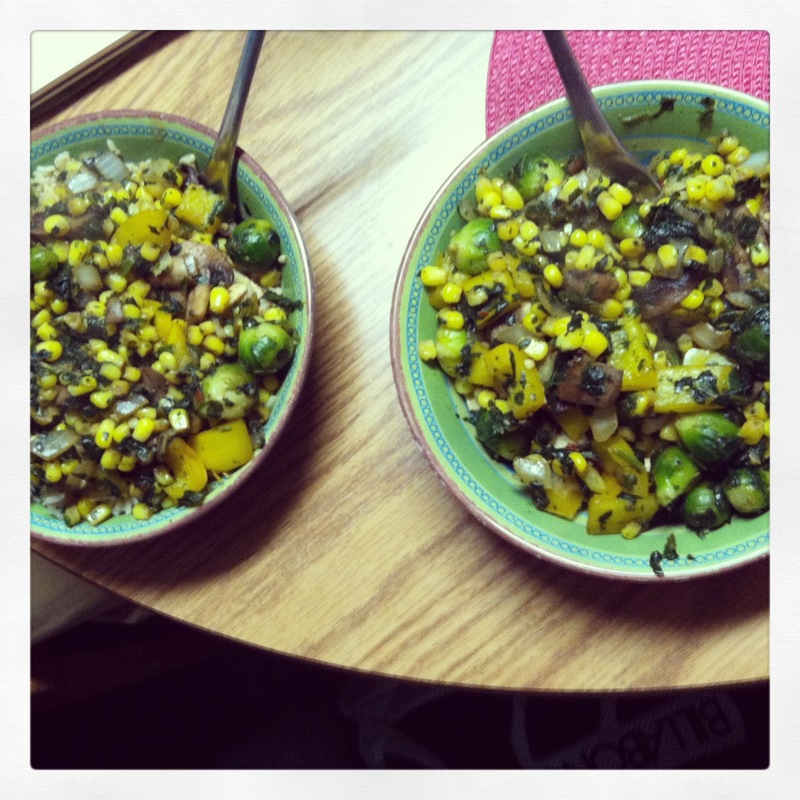 Made dinner for my boyfriend and I, personally I think it tasted better than Chipotle’s burrito bowls…just saying! Anyways, cooked up some brown rice, while at the same time through some chicken breasts (sprayed in E.V.O.O and covered in some spices) into the over on 375. While both of those were cooking, I sautéed some yellow pepper, mushrooms, onions, garlic, spinach, brussel sprouts, and lots of corn!! Of course, this meal would not be right without some soy sauce and spicy condiments (chili powder, pepper, dash of salt and cayenne pepper!) yummmmyy! And let’s not forget dessert…I don’t know what it is lately but i’ve been having AWFUL sweet tooth cravings!! And, it doesn’t help that our room is always stacked with baked goods and chocolates…ahhh! Anyways, tried to subside this craving with a little spin off of the PB&J dessert I posted last time. 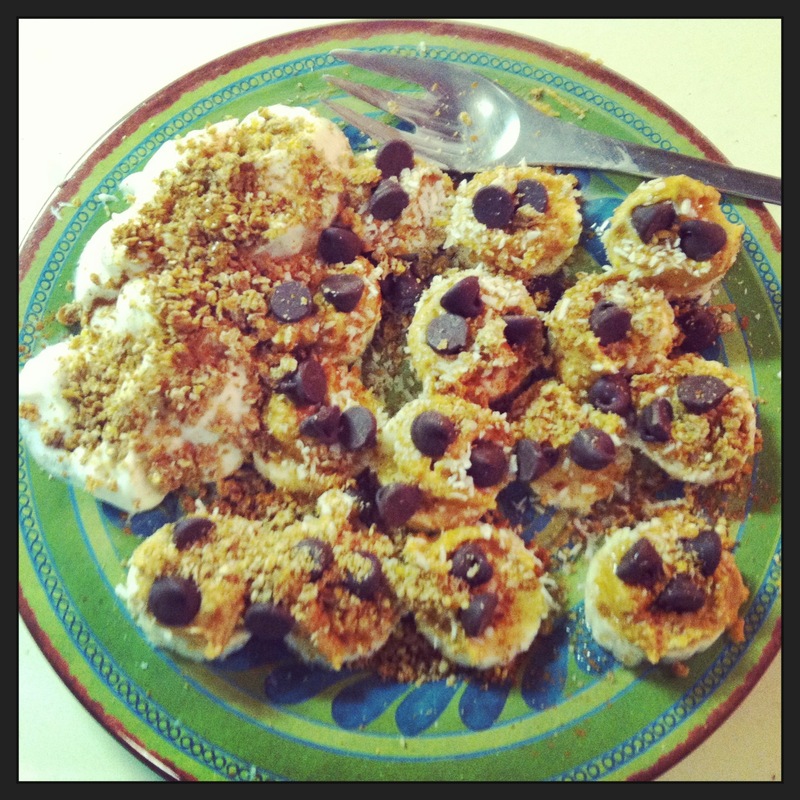 Sliced bananas, topped with PB2 (powder mixed with water), some cinnamon, unsweetened, shredded coconut, dark chocolate chips, Ezekiel Granola (from whole food’s), a side of Trader Joe’s Greek Yogurt, and lastly drizzled in just a little bit of agave nectar! That did the job! Anyway, look out for a post later in the day or tomorrow morning…I’m feeling up to a new challenge that I’m planning on sharing with everyone else as well!